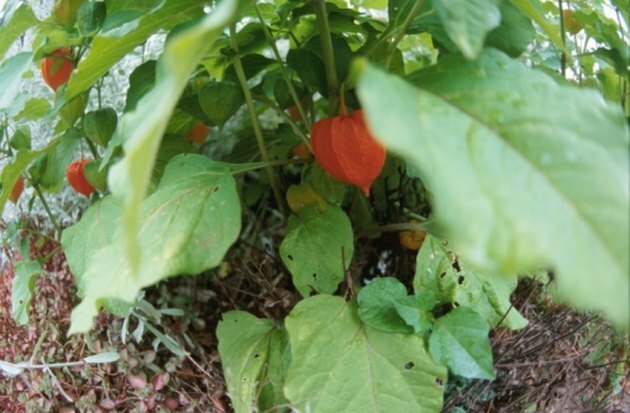 The perennial Japanese lantern plant is related to tomatoes and potatoes. 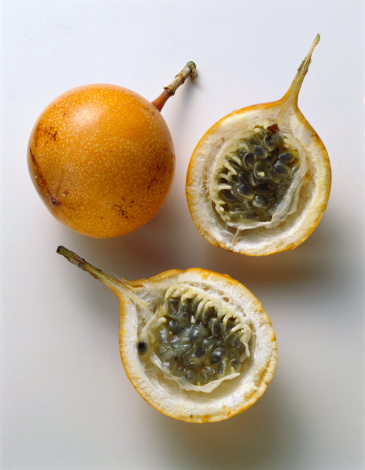 It is grown for the bright orange sheath, or calyx, that surrounds its fruit. Dried stems with the calyx still attached are a popular Christmas and Halloween decoration. This species can become invasive because of its spreading underground rhizomes; you can grow it in containers or in pots sunk into the garden to prevent it from getting out of control. Japanese lanterns ready for harvest and drying. Sow Japanese lantern seeds in 4- or 6-inch pots indoors in the early spring. Start about a month before the average date of the last spring freeze. Sprinkle the seed thinly on the surface of sterile potting compost and cover with 1/4 inch sieved compost. Keep the soil moist but not soaking and place in a warm spot. Transplant Japanese lantern seedlings into the garden six weeks after they germinate and are large enough to handle. Plant in a partially shady site with rich but well-drained soil. Allow between 1 and 3 feet between plants depending on the mature size of the cultivar you are growing. Fertilize your growing plants with a liquid fertilizer rich in nitrogen every three weeks or apply a slow release granular fertilizer every three months. Allow the soil to dry out slightly between waterings but never to the point where the leaves start to wilt. Harvest the stems in the fall as soon as the fruit calyxes develop their orange color. Remove all the leaves and hang the stems out to dry.